I am trying to catch up on the sets I did last month. This is one of those sets. 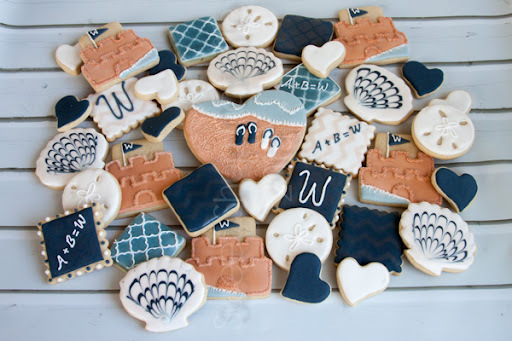 I did some cookies for my nephew Brady's wedding luncheon. It was a nautical theme. Brady loves the water and the beach so I went with more of a beachy theme. 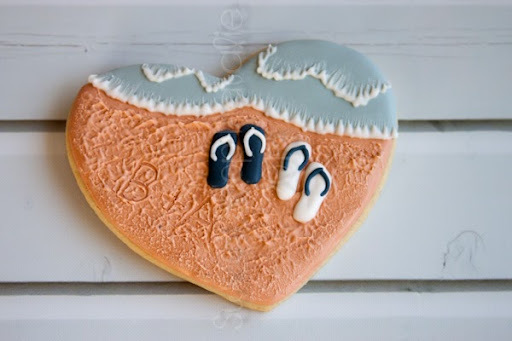 These beach cookies with flip flops have been all over the net this summer because they are so darn cute who could not resist doing them. 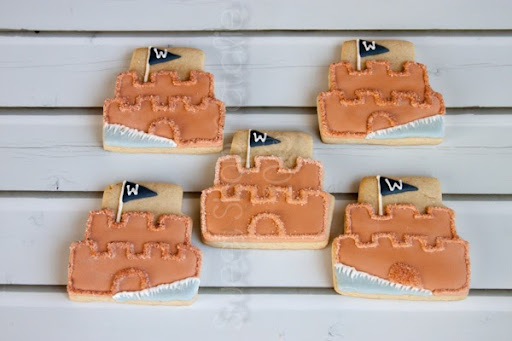 I also thought sand castle would be really cute with the monogram flag or their last name. 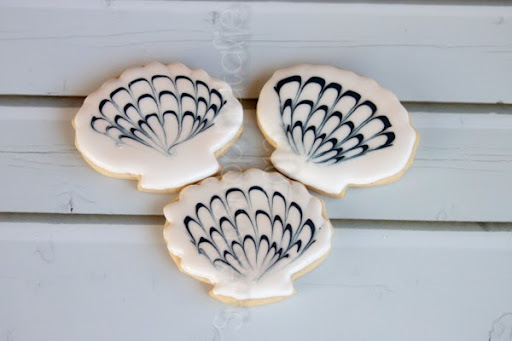 Some seashells, my sister decorated the luncheon in blue white and tan so I went with that scheme. 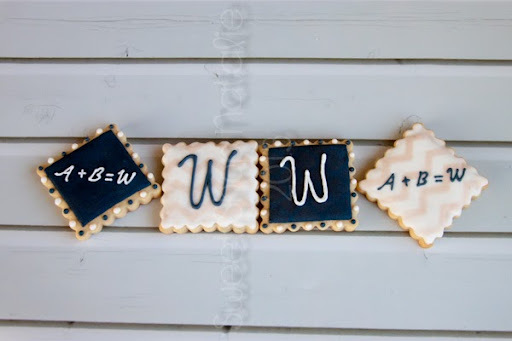 In these pictures you can't see the shimmer design on the blue cookies but they were there. Andie + Brady = Wells! I thought that was cute. It was fun to make these and the day was a little hot but the wedding, luncheon and reception were very fun and I'm glad our family was able to attend! I wish Andie and Brady a wonderful, blissful marriage! !